There are a lot of things that can make a good photo, but getting “good” light can make a ho hum photo sing. 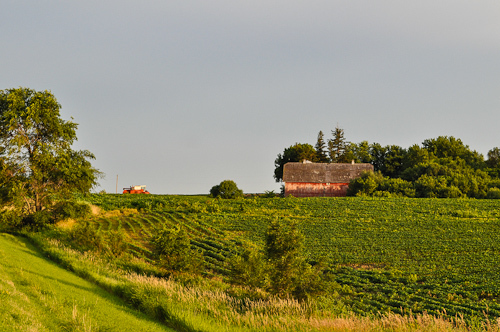 This was back in July 2010 driving east along MN 7. It had been rainy all day and the clouds were moving out. The late afternoon sun found a hole and the “good” light came pouring through. Luckily I had a camera along. There was no way I wasn’t going to take advantage of the scenery and the light. This entry was posted in Uncategorized and tagged copyright ryan ware, farm, field, golden hour, rural decay, wood barn. Bookmark the permalink. Yes, light can often make a photo. And in this case, it did. Excellent work, as always. Thanks Audrey. You can hold your own as well.